The scroll at the top represents time and life unfolding. The horizontal branch symbolizes the Creator and the Master Gardener. 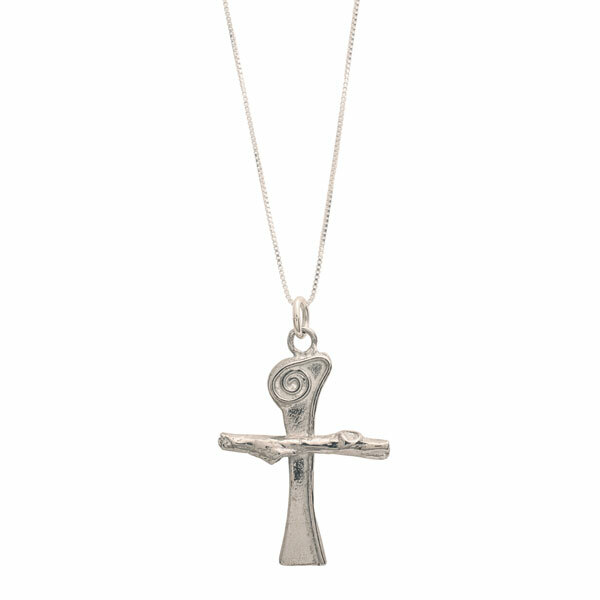 Wearing the cross signifies our trust that God is unfolding and revealing His plan with love and good purpose. 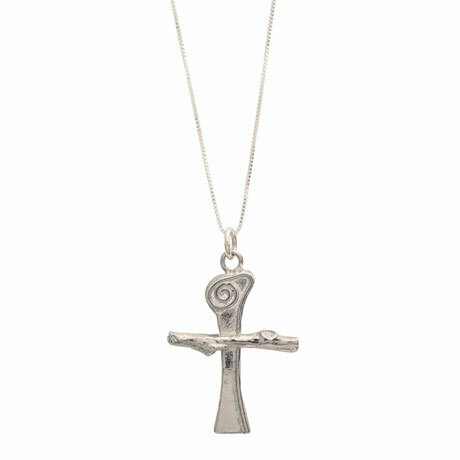 Designed by artist Lori Strickland, made by hand in her Florida studio, 1¼" cross hangs from an 18" sterling silver box chain. Story card included.